An excellent place to encounter the indefatigable Aira’s logic-defying brilliance for the first time. Daily conversations in outdoor cafés with cultured friends can help make reality a little more real. Unfortunately, however, during one such conversation, one man spots a gold Rolex watch on a TV soap opera’s goatherd. This seemingly small absurdity sets off alarms: strange sensations of deception, distress, and incipient madness. The two men’s uneasiness soon becomes a nightmare as the TV adventure advances with a real-life plot — involving a mutant strain of killer algae — to take over the world! Conversations, a reality within a fiction within a parallel reality, is hilariously funny and surprisingly touching. Aira is one of the most provocative and idiosyncratic novelists working in Spanish today, and should not be missed. 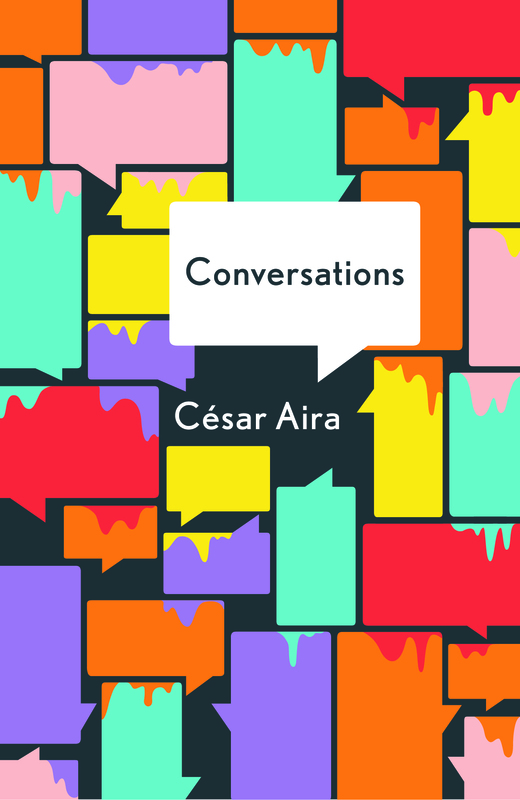 To love the novels of César Aira you must have a taste for the absurd, a tolerance for the obscurely philosophical, and a willingness to laugh out loud against your better judgment.